The idea that our thoughts can fundamentally alter our pain is powerful stuff – it’s just about as far away from the out of date notions of ‘pain receptors’ and ‘pain pathways’, as you can get. Like pain, you can’t see a thought, but we know that both pain and thoughts are real and involve complex neuroimmune interactions. If a person says “it hurts”, then no one can say it doesn’t – there is only one witness to the event. Delving into this territory can be tricky and requires tact, appropriate knowledge, getting a bit philosophical at times – “you are not your thoughts”, and often, the right stories and metaphor. We introduced the notion of ‘thought viruses’ to people experiencing pain, therapists and clinicians in Explain Pain, and it has spread and been picked up around the world now. 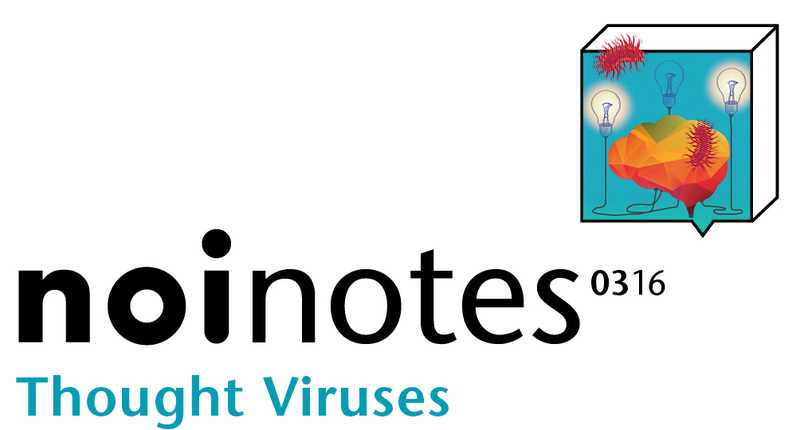 The idea of thought viruses fits perfectly within our new paradigm of DIMs (Danger In Me neurotags), SIMs (Safety In Me neurotags) and the Protectometer. Powerfully influence the Things you do – “I am not bending forwards” is a logical consequence of the thoughts, beliefs and other thought viruses above. Have a real biological effect on the Things happening in your body, such as inflammation. Finally, thought viruses might be picked up from the People in your Life or the Places you go. We’ve made a short clip that we hope therapists will be able to use to introduce the idea of thought viruses (and their ‘vaccines’) to patients. You could watch it in your clinic, have it playing in your waiting room, or perhaps set it as some homework – we know that good education uses multimedia, and hearing new ideas in different ways can help it to ‘stick’ and influence future behavior. We’d love to hear some of the thought viruses that you have come across out there, as well as how you ‘vaccinated’ against them, and let us know how you use the clip – leave a comment below. “As an intern I had the privilege of spending a term attached to the Palliative Care service. Perhaps the most difficult and surprising pain case I was involved with was a man in his mid-forties with cancer of unknown primary metastatic to his vertebrae. Despite all attempts to control his pain in an outpatient setting with conventional opioids, adjuvant analgesics, radiotherapy and eventually continuous subcutaneous infusion of methadone and ketamine, his oncologist was unsuccessful in gaining control of his pain and he was admitted under our team with a pain crisis. To this point his management had remained focused on treating the biological origin of his pain, the vertebral metastases. One of the Palliative Care consultants suggested that we take a step back and construct a formulation of the patient. During the interview between our consultant and our patient we discovered that he was a single father with a 12 year old daughter and an estranged family. He was aware that his life-expectancy at this point was measurable in months and was entirely pre-occupied with concerns over his daughter’s care and well-being after his death. Through the assistance of our Social Workers we were able to contact his estranged family inter-state. A family meeting was arranged after some planning our patient’s sister agreed to become his daughter’s guardian after his death. Throughout the process of solving this social problem, we noticed our patients pain scores decreasing and his mobility and self-care abilities increasing. Once we had achieved closure on the issue of his daughter’s ongoing care, our previous analgesic strategies become remarkably effective and we were able to discharge the patient home with a continuous subcutaneous methadone infusion which allowed him functional independence. Thanks so much for sharing this Nick – it really is a powerful story. A beautiful and highly useful video. I personally believe that, even in the very first therapist patient interaction the sufferer should leave with some pain knowledge and at least one vaccine against their inevitable thought viruses. Yes, such a key point – every time you meet a patient is an opportunity to share some useful, analgesic knowledge – we hope that these short clips can form part of a broader curriculum and allow therapists and clinicians Explain Pain more easily, efficiently and effectively. I have been suffering from chronic pain in my back and legs for 5 years now. Explain pain got me out of a wheel chair and to begin the road to independence and increasing function. Education was a big part in my recovery, thanks to my physio in a rehab hospital. Now i can walk up to an hour and got to a regular gym. This recent post has got me thinking about my current problem with constant and nasty flare ups. I just have to look at a different weight machine at the gym and the pain kicks off, i think i can now relate this to my initial injury cased by over exercise and sports. I need a vaccine for the fear of repeating the injury, although i do know that wont happen now the the education i have. Thanks for the information! Thanks so much for taking the time to share this with us. It’s comments like yours that keep us going and sharing this information in new ways. “Oh well of course, you are a sitting duck for developing CRPS”. To this day he cannot quite recall why this declaration was made but he says he never forgot the “sitting duck “ remark. He said that there was part of you that wondered did the clinician see something in you you didn’t see and was therefore right? I suppose it shows that without the slightest hint of malice even a well-meaning physiotherapist can cause powerful thought viruses to linger for many years with a casual remark. On a good note he felt that “desensitising the burglar alarm in the brain” and “hurt does not necessarily mean harm” have been some of the most empowering and powerful vaccines against escalations in his pain.